A Texas sheriff's deputy was being held Monday on a charge of "super aggravated sexual assault" of a 4-year-old girl after authorities say her mother, an undocumented immigrant, was being blackmailed to stay silent about the abuse — or face deportation. 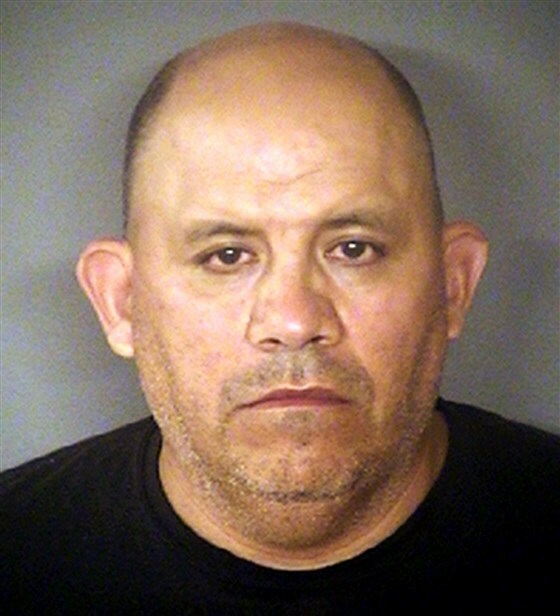 Jose Nunez, a 47-year-old detention officer with the Bexar County Sheriff's Office, was arrested early Sunday while he was off-duty after the mother took her daughter to a local fire station for help, officials said at a news conference. The details of the case are quite frankly heartbreaking, disturbing, disgusting and infuriating all at the same time," said Bexar County Sheriff Javier Salazar. he girl had been suffering from physical pain and "made an outcry," which prompted her mother to go to the fire station, Salazar said. He added that Nunez has "familial ties" to the woman and her daughter, although their exact relationship is unclear. The abuse likely went on for several months, if not years, Salazar said — and there may be other victims. "This suspect utilized to his advantage to place the mother in fear that she would be deported if she did report it," the sheriff said, adding that the "little girl now is safe." The department is petitioning to give the mother protected status pending the outcome of the case. It was unclear Monday whether Nunez, a 10-year veteran of the department, has an attorney. The felony charge carries a minimum 25-year sentence if he is convicted. "I don't know that he was purposely targeting the undocumented community," Salazar said. "Certainly what was appealing was the vulnerability of that community because they are less apt to report things." Immigrant rights groups say Texas' Senate Bill 4, which was passed last year, has created an atmosphere of anxiety and apprehension among the undocumented who don't want to go to local law enforcement for crimes because of their citizenship status. While the law's supporters say it is designed to protect people by enforcing laws already in place, it also allows local authorities to investigate whether a person is legally in the United States.